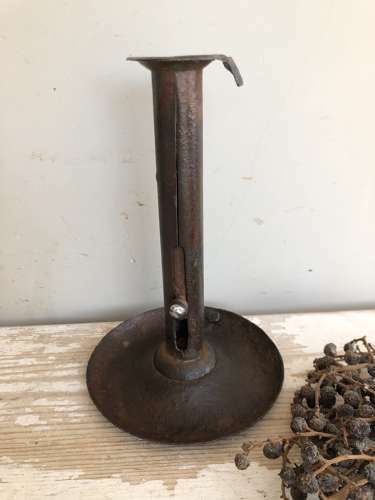 19th Cent Hogscraper Candlestick. Early example. When a pig was killed it was rolled in hot ashes and these scrapers were used to remove the bristles in a circular motion. When they were not being used they doubled up as candlesticks. The earlier examples had the downward facing scraper. Latewr derivations had the cup facing upwards and were just for lighting only.